A new arty street fair and 10 cafes, clothing shops and more where design dominates. There’s a new happening in the heart of West Hollywood that’s easy on the eyes and no, we’re not talking about that giant billboard of David Beckham in his undies. Prepare yourselves for an outdoor arts marketplace, A Street Af(fair), which debuts on April 30. According to their site, the event is ‘reminiscent of a classic European street fair,’ and will feature the city’s best creatives coming together in the Design District to eat, drink, adorn and be merry. The pop-up fest is aimed to showcase the booming design scene in Los Angeles highlighting a variety of designers across disciplines and nabes. “We wanted to create something that brought some of the more established, design companies in West Hollywood together with some of the emerging and up-and-coming designers. 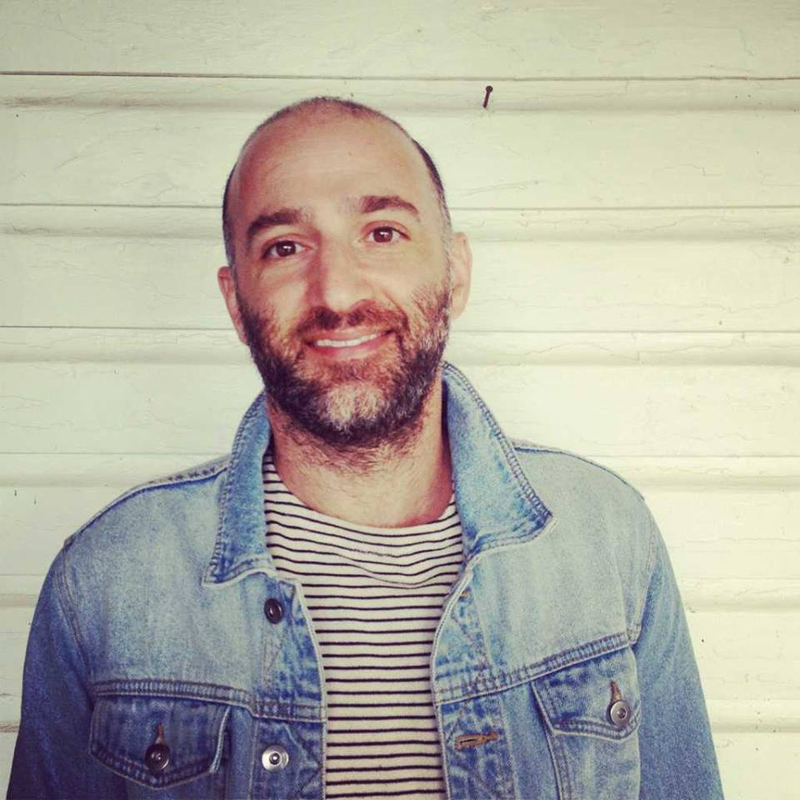 Then we engaged Parachute Market to curate the vendors and conceptualize the fair’s theme ‘East Meets West,’ whereby the Eastside design community will meet the Westside,” says Darren Gold, West Hollywood Design District board chair and fair co-producer. Another WEHO Design District board member, Sara Sugarman-Brenner, is creator and curator of the drool-worthy, home decor site Lulu & Georgia. As someone with a vigilant eye fordecor with a playful edge, she’s especially hyped about the street market concept. 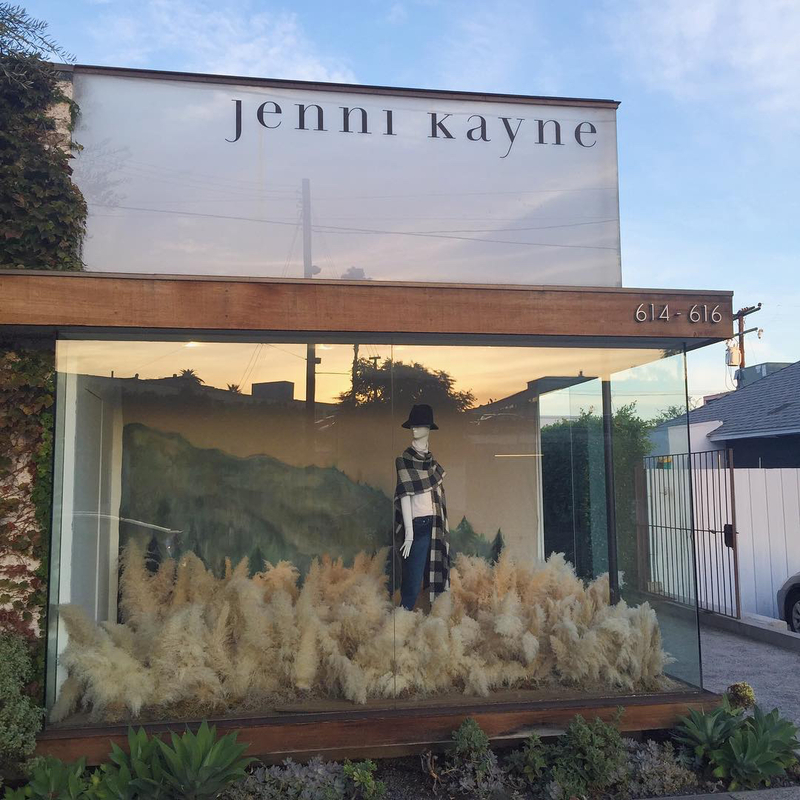 “Street markets are having a huge moment and the West Hollywood Design District's charming outdoor streets will serve as the perfect backdrop for a public event focusing on design,” says Sara. It’s pretty much an established fact that the art and design scene in LA is super hot right now. Artists, designers as well as aficionados are flocking here and giving the design scene the legitimacy and attention it deserves. Darren Gold: The beautiful design by Commune always makes me feel like I am somewhere on vacation and not in the middle of West Hollywood. Whether to meet up with friends, or bring a laptop to do work in a sublime setting, this is coffee culture at its best. Oh, and the coffee is superb, and I especially love the Nitro Cold Brew on a hot afternoon. It has the froth of a dark beer with the kick of a strong espresso. DG: Greg Chait’s vision is singular! From the beautiful clothes and blankets to the California-chic vibe of the design, this place epitomizes the new West Hollywood. 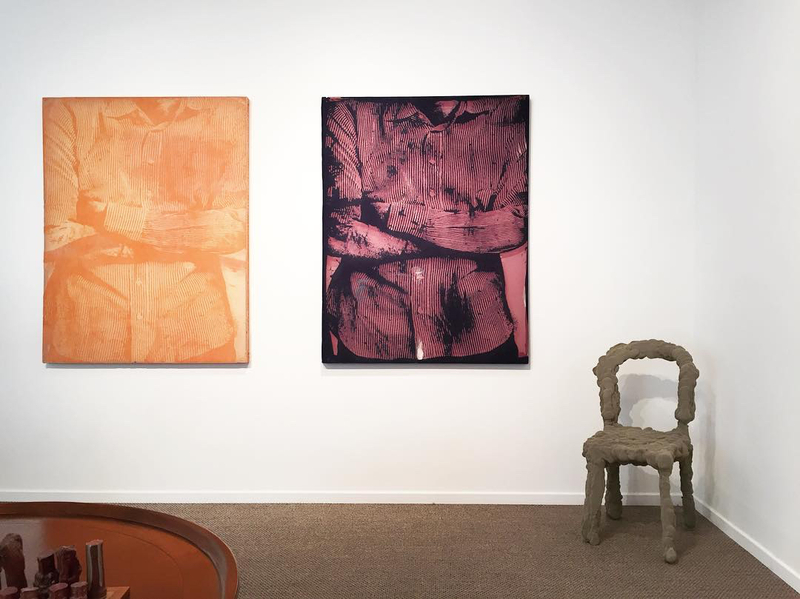 DG: Always interesting shows, this gallery is definitely part of the LA art scene that everyone is talking about. DG: LA finally has a place to see this collection all in one place as it’s meant to be showcased. Plus some cheeky design elements that only Rick could pull. Like the stools in the fitting rooms that are literally resting on Rick … or should I say, life size models of him holding up the cushion. 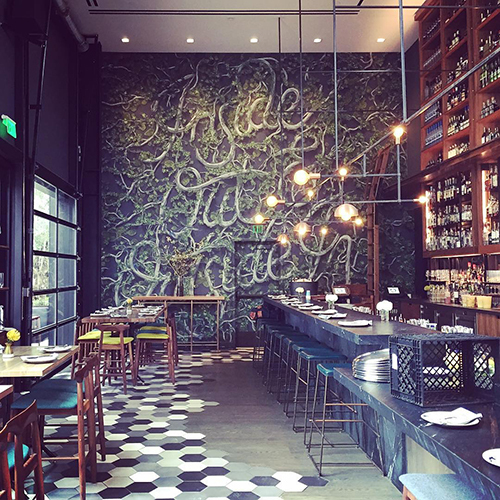 DG: This DTLA landmark is in the midst of a revival bringing some of the hottest restaurants and chefs together to celebrate the best of LA food and culture. 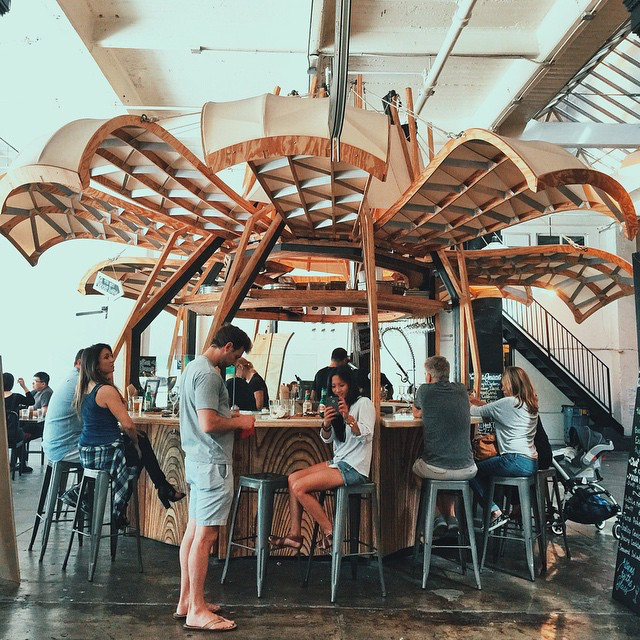 A food hall and emporium in the best sense of both words, Grand Central market is the past and future of LA converging at this community hub that’s not to be missed. Stylin’ Sara. Image courtesy of Monica Wang Photography. 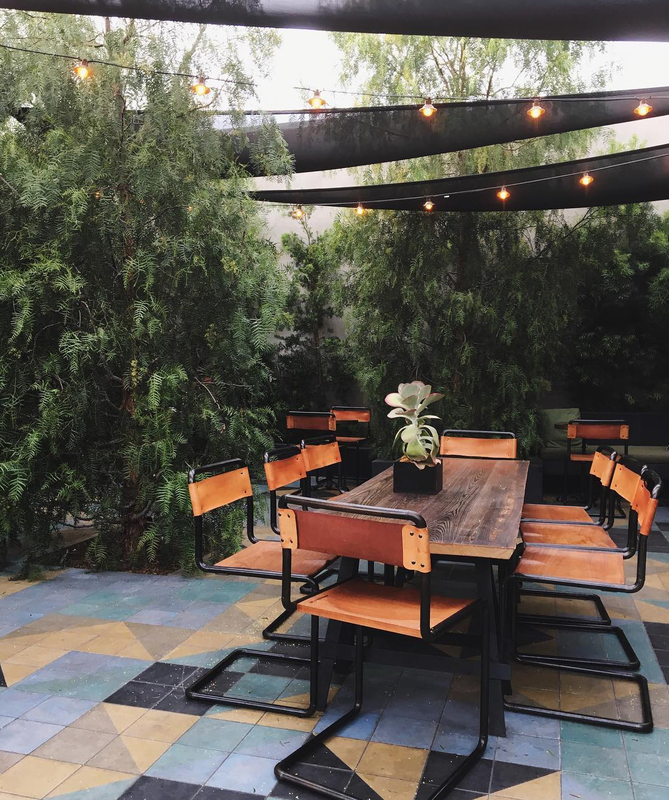 In recent years, the Los Angeles art and design scene has exploded as creatives have flocked to here—particularly the Eastside—for it's boho effortless vibe. The rest of the world now looks to LA for design trends. 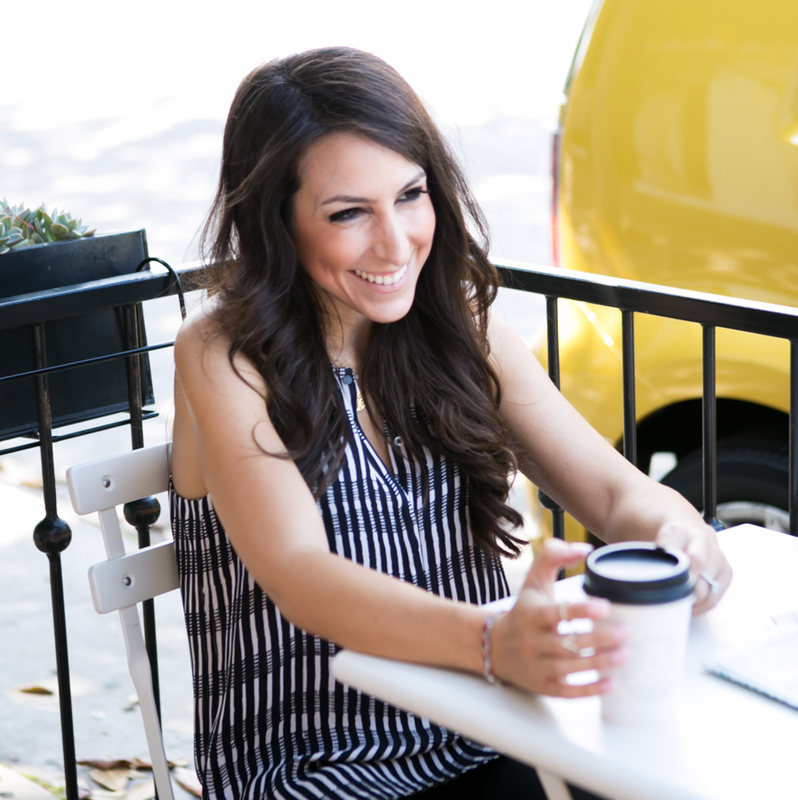 Sara Sugarman-Brenner: This traditional French bar experience designed by Estee Stanley [co-owner of Au Fudge] is my favorite restaurant in LA. Featuring only 21 seats, it’s best as a date-night spot. But what it lacks in size it more than makes up for in style. 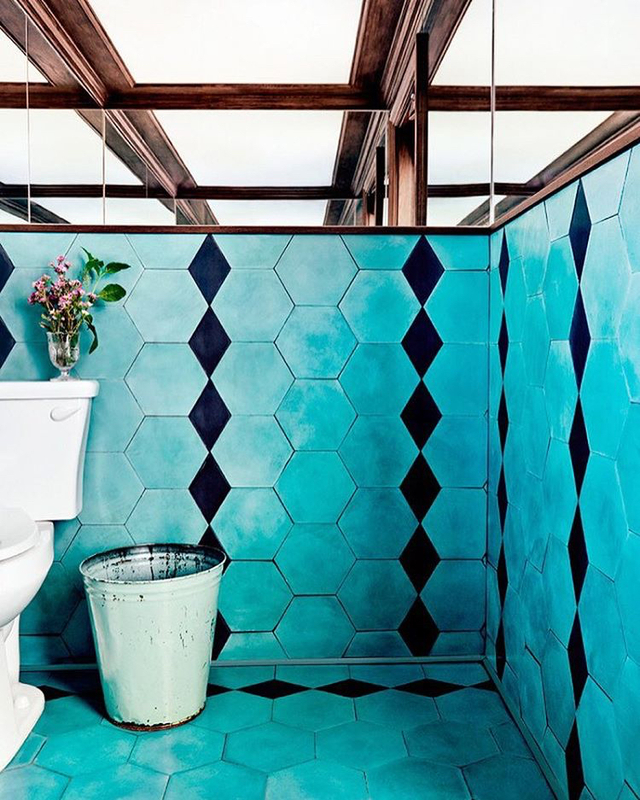 The checkerboard floor, the carrera marble-topped wood bar, the William Morris willow bough wallpaper, the French hip-hop playing in the bathrooms … it all combines to transport you to Paris. The fact that it’s in a dingy Hollywood strip mall makes it all the more enchanting. And the food. Simple perfection. You can’t find a better omelette or burger in Los Angeles. SSB: This coffee shop in an alley off Melrose serves Stumptown (a fave), but I really come here for the interiors. 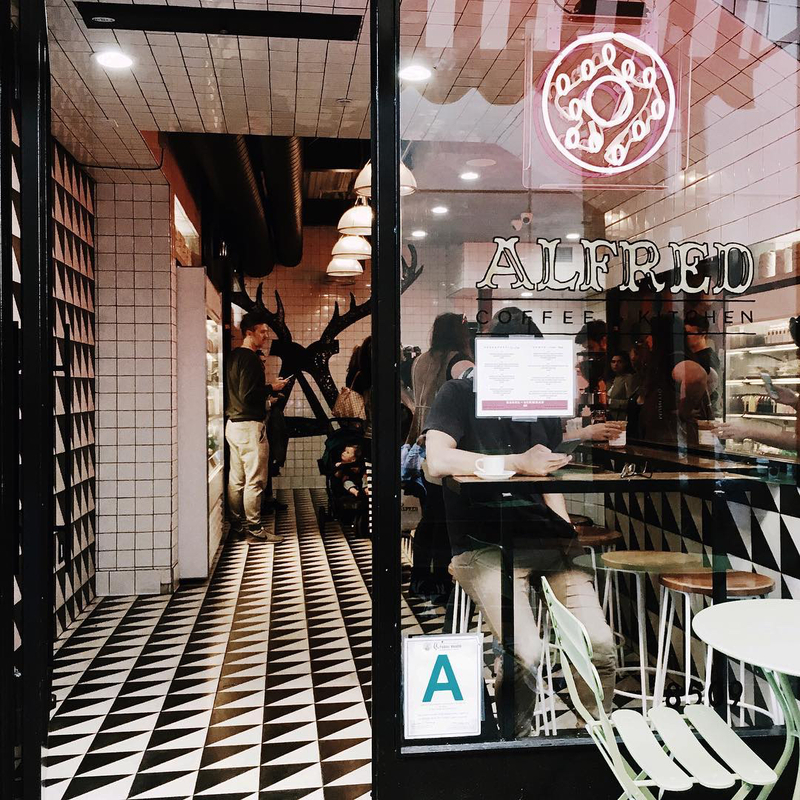 Designed by Kelly Wearstler, the shop has gold counter tops, black and white tiled walls, and a neon “But first, coffee” sign. Even the coffee sleeves make a fashion statement. SSB: A jewel-box of a makeup shop. They only sell the best of the best in luxury products and I’ve never been disappointed with any of their recommendations. 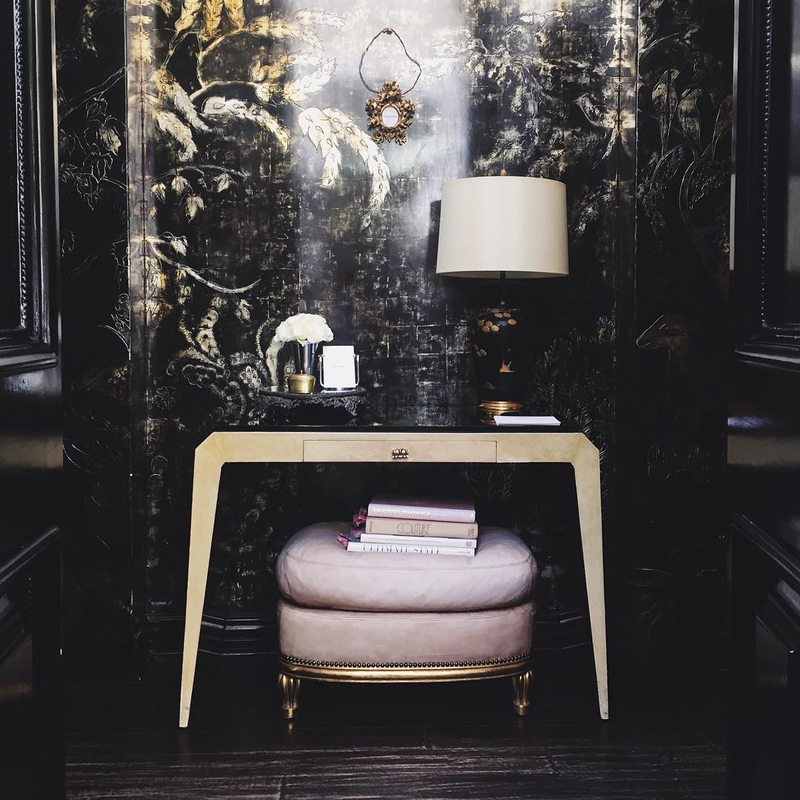 The interiors are a mix of Hollywood glamour and Parisian style. Located on the famous Melrose Place, it's a fun place to spend a girls’ day. SSB: The epitome of effortless and laid-back LA style. The Almont Drive store, with a warm, architectural design and floor-to ceiling windows is a beautiful place to spend an afternoon shopping. SSB: The Broad is a new contemporary art museum designed by Diller Scofidio + Renfro (known for the High Line in New York). 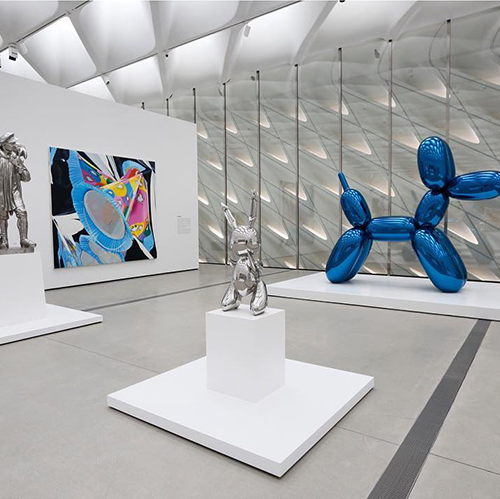 Featuring pieces by Jeff Koons, Jean Michel-Basquiat and Cindy Sherman, it’s a must-see for anyone visiting LA (plus, it’s free to the public). And just steps away through a modernist olive grove is restaurant Otium. Built on a bridge with oversized windows to showcase the view, it also features vertical gardens, tiles from Heath Ceramics and a Damien Hirst fish mural. It’s stunning inside and out, and there is always a fun atmosphere—great for a celebratory night out. Brightly lit & minimalist white-walled space hosting contemporary art exhibits & events. New American cuisine, cocktails & high design are offered in an airy space next to The Broad museum. Stylish showroom featuring upscale ceramic tableware, plus cooking supplies, tiles & vases.